Reality Winner, Accused Of Leaking Classified Documents, Pleads Guilty Winner reached a plea deal with prosecutors that calls for her to serve more than five years in prison. 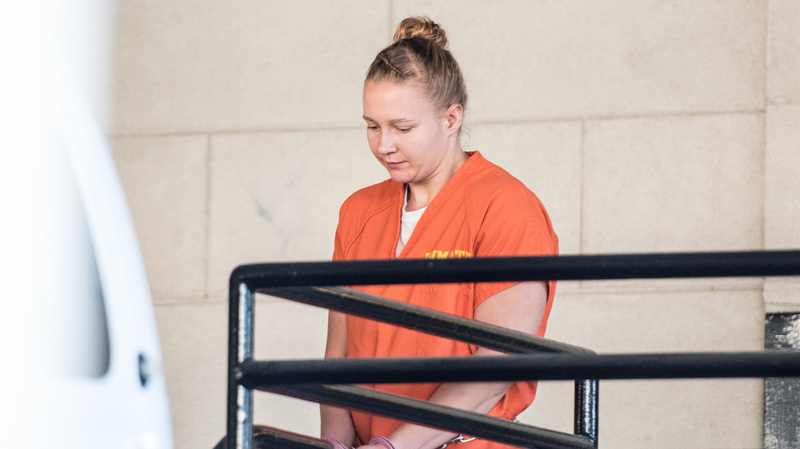 She was charged with violating the Espionage Act by sending NSA documents to a news site. Reality Winner, shown exiting the Augusta Courthouse on June 8, 2017, has pleaded guilty to violating the Espionage Act. She was an intelligence industry contractor accused of leaking National Security Agency documents to a news site. As part of the bargain, Winner also "agreed never to leak classified documents again," Lisa Hagen, of member station WABE, reports for our Newscast unit. As NPR has previously reported, Winner initially planned to enter a not guilty plea. But she changed her mind. "In a statement, Winner's mother said that she believes the plea deal was the only way for her daughter to get a fair sentence under the Espionage Act," Hagen reports. "Winner is the first person accused of leaking classified information to be charged with a crime under the Trump administration. The 25-year-old National Security Agency contractor, who is also an Air Force veteran, is accused of orchestrating the latest bombshell leak from the NSA. "Winner, who was working in the Georgia office of contractor Pluribus International, allegedly printed out a top-secret document [in May 2017] and mailed it to an online news outlet, which was not named in court documents. "However, The Intercept broke a story Monday [June 5] with details on Russian attempts to penetrate U.S. election systems. "At roughly the same time, the Justice Department announced that it has charged Winner with mishandling classified information on national defense." Winner had been held in jail without bond for more than a year, the Atlanta Journal-Constitution reports. The government said Winner was identified as the source of the document in part because The Intercept showed officials a copy with creases and "microdots" that identified the source printer, NPR's Martin Kaste reported last June. The story The Intercept published was one of a series of revelations about foreign efforts to hack U.S. elections. Specifically, the story detailed a Russian military intelligence attempt to target more than 100 local election officials with "phishing" attacks.